Our previous list (top 15 on Big data and analytics) was based on just personal opinion. In this contribution little bit more of a systematic approach. Following Ben Benjabutr (editor of SupplyChainOpz) we took the search results of google scholar and citation for the top 5. In addition we took the liberty to add 5 books on supply chain management taken from our personal list of favorites. So a little bit of both. 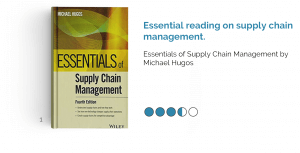 Essentials of Supply Chain Management is the helpful guide to the field, providing both coverage and detail from a practical perspective. This book offers both students and professionals a comprehensive introduction with immediately-applicable understanding. This book shows that a robust supply chain strategy is important for business success in today’s uncertain economic environment. It makes the case that successful companies’ supply chain strategies are closely aligned with their competitive differentiation and operating models. An absolute classic Logistics & Supply Chain Management provides you with key tools, processes and initiatives to guide the reader and improve their understanding of the supply chain. The fifth edition of this bestselling book has been completely updated: as well as additional examples and case studies throughout, there are two new chapters. This book is a framework for understanding supply chain management. Supply Chain Management and introduces high-level strategy and concepts to solve supply chain problems. The 7th Edition using illustrative case study examples to help the reader to improve its understanding. The Fourth Edition presents Logistics in the context of integration within a firm’s Supply Chain Strategy and Operations. The framework presents five logistics operational components in different parts of the book. An essential feature of the overall presentation is the integration of topical materials and examples into the Supply Chain Logistics value creation process. This book is a classic and although it is sometimes a bit hard to read due to the grammar and writing style it provides the basic decision making tools and concepts used for finding cost reduction and strategic opportunities. 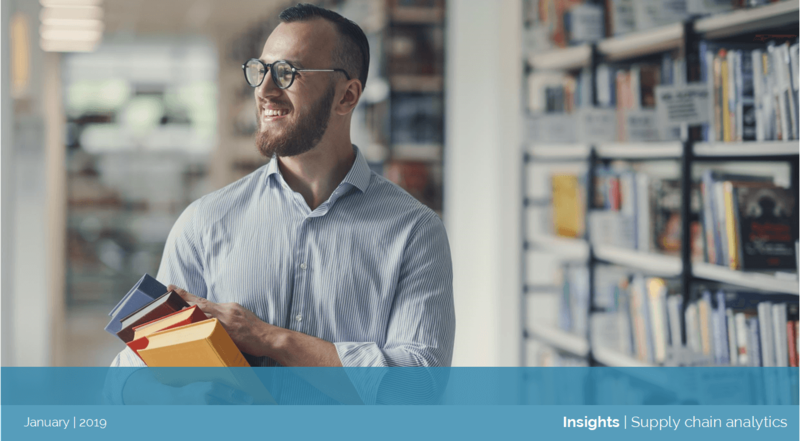 It covers introduction and planning, customer service goals, transport strategy, inventory strategy, location strategy, and organization and control. This book has bit different angle in approaching supply chain management. The author states the cases that in today’s environment supply chain leaders are under increasing pressure to deliver differentiated, lasting performance, fast. The presented framework, resting on a foundation of data analytics, is somewhat different from the approaches presented above. An applied and strategic introduction to the subject of logistics and supply chain management, perfect for modern managers and students of logistics and supply chain management. Logistics and supply chain management continue to transform the competitive landscape and have become one of today’s key business issues. This fifth edition of Logistics Management and Strategy continues to take a practical, integrated and international approach to logistics, and includes the very latest research to reflect the innovative and exciting developments in this subject area. Another somewhat different angle on the topic. Lora M. Cecere evaluates the progress of over a hundred companies over the period of 2006-2013. The effective supply chain makes a difference in winning a war, saving a patient, and driving commerce. But it also makes a difference in a community having clean air, potable water, and a higher standard of living. Supply Chain Metrics that Matter tells this story. The book links corporate financials to supply chain maturity, and what metrics matter most. This book is a clear, simple exploration of efficiencies that can be gained throughout the supply chain..Thorough examination of sourcing and services and how to best meet customer needs efficiently. simply and understandably laid out, making it especially useful for non-supply chain managers and executives or anyone wanting to grasp the basics of supply chain’s potential. Good read. Subscribe to our newsletter if you want to be updated. When filling out this form, you agree to the terms on processing your personal data by this website. Your personal data will only be used for the purpose to which you left them and we do not use your data for other purposes. Use this link to download our top 15 on Big Data and Analytics directly.